These photos are only a small sample of our work. We have additional photos available on both our Presentation and Limited Edition pages as well as our Details pages. If you'd like a hard-copy catalog, please inquire via e-mail, and we'll be happy to mail you one! There is perhaps no greater compliment to be paid to our craftsmanship and integrity then our many customers who have purchased more then one rod from us. We are indeed fortunate to have customers who own as many as eight J.D. 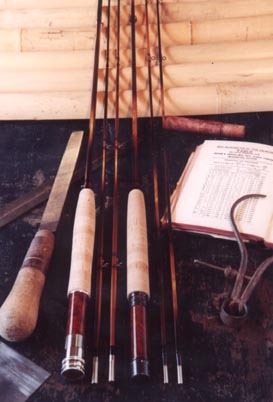 Wagner flyrods in their collections. 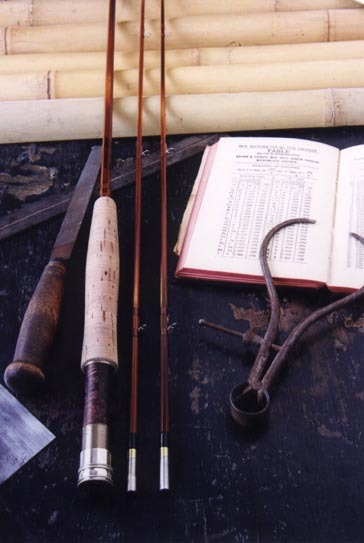 The above photograph was taken for us by one such customer, a collector of fine tackle, Mr. George McCabe. 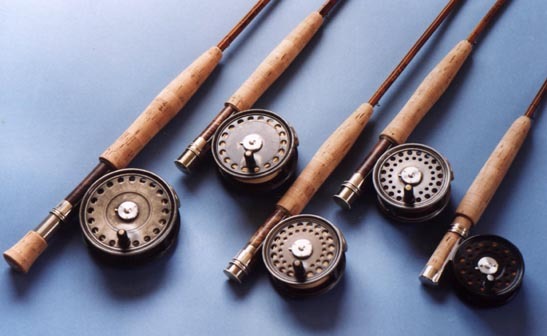 Shown are his Wagner rods with a small sample of his vintage Hardy reel collection. We are very proud to have so many repeat customers and believe it speaks volumes for our reputation and quality. Are you a fly fishing purist? If you are, you may not wish to follow the link below to see some additonal photos. I am not a fly fishing purist and agree I will not be traumatized by clicking here. You can also view some of our customers here. 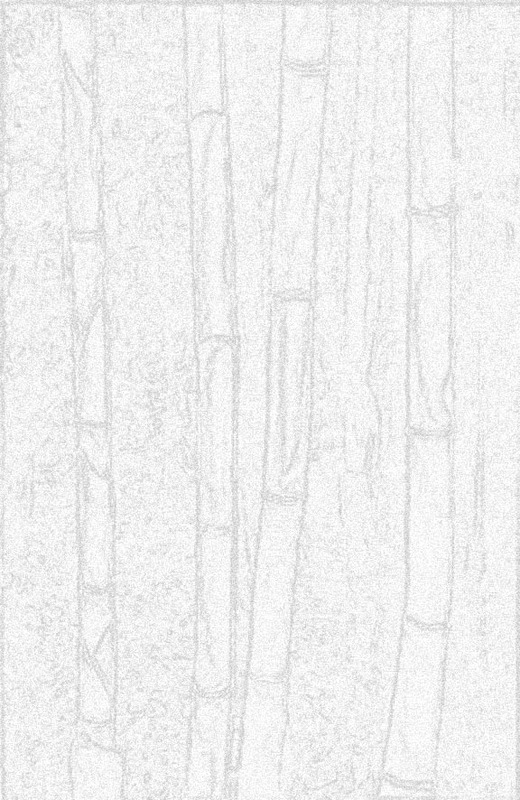 Copyright 1999, 2000, 2001, 2002, 2003, 2004 J.D. Wagner, Inc.